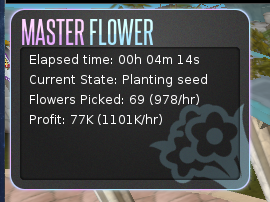 [VIP] Master Flower | Earn ~1.5M/hr planting mithril seeds! THIS SCRIPT CANNOT BE RAN IN LEGACY MODE. Disable Legacy Mode in order to use this script. Master Flower is a script which will withdraw mithril seeds from your bank, use your action bar to plant them, and then pick them, and bank the flowers. You can earn ~1M/hr, after the cost of mithril seeds. Once you have ran out of mithril seeds, the bot will idle. 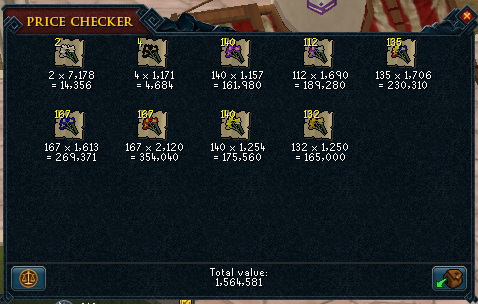 Banking - Banks flowers and withdraws mithril seeds. Obstruction recognition - Doesn't plant on tiles which have an obstruction which would prevent you from planting the flower. I will post any progress screenshots here if you would like me to. Any constructive criticism or suggestions are welcome! wait for the market to settle down; everything is unstable because of invention. Alright the SDN is now fixed, and the script will be free for the next 24 hours. If it doesn't appear on the SDN for you, hit ctrl+f5 (or ctrl+shift+delete in Firefox) to do a hard refresh. The free VIP trial is now over, and this script will now only be exclusive to VIP users. Thank you for using this script. Trying this right now, having some issues with banking though, once my inventory is full, it will keep trying to place and pick flowers. Is there a specific area I need to be doing this? Currently in Yanille but I'll try some others. I recommend doing this up against a bank, like draynor or catherby. Try restarting the client and see if that helps. Same banking problem - it doesnt bank anything - making it kinda useless atm. Tried restarting the client etc. - same result. The only issue I can think of is that you have the seeds in your inventory. I'll fix this asap, but in the meantime, leave the mithril seeds in your bank before starting. I just updated the script. It should now be able to start with mithril seeds in your inventory. I also tweaked a few things for the anti-ban. is this actually profitable? i guess i just don't really see how. 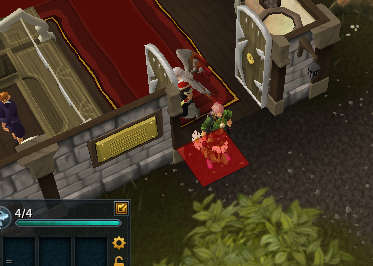 not to mention there is nothing about this on the rs3 money making guide. which i like. just don't wanna get banned trying this out if it isn't actually profitable. before DXP someone messaged me saying they made 60m off of it within a week. I would probably wait until after the market is stabilized again, though; prices are dropping back down because of DXP.